I don't want to pay those Wynn people. :/ Bad juju there. So there's no special code for the fan club sale, correct? I just click that link in the email from Jewel and I'll be able to access it today at 1pm est? I just got in, so yeah, you're correct. But I guess by the time you read this, you'll know that already. 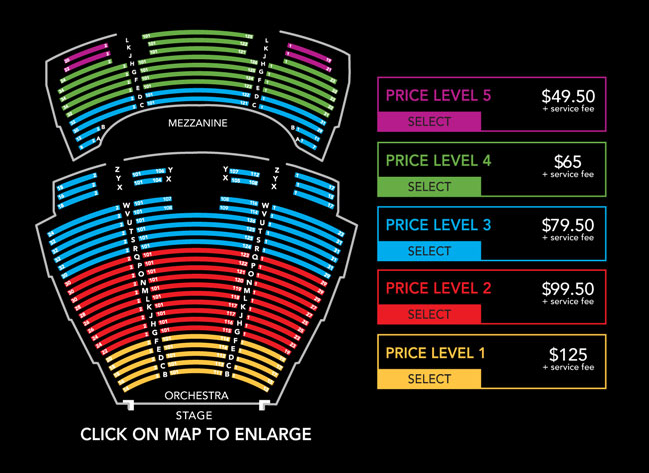 The prices look pretty reasonable, too, but there's no way we can go to Vegas. $ 125.00 for front row is very reasonable! Best Jewel show I've ever seen. Unbelievable. Maybe even the best concert I've been to period. Totally blown away. Everybody Needs Someone Sometime, Love Me, Just Leave Me Alone and Satellite some of the highlights. I think I can hear the excitement in your typing, Trevor! Awesome. That, and the clip she tweeted makes me wish even more we'd made that cross country trek. We kind of need a smilie of that "Rockin' Jewel" brand she has on the guitar strap. It'd be appropriate here. BTW guys, we got to speak with the drummer after the show, and he mentioned the possibility of a tour this summer, which I'm really hoping is true. That is some hot info, amigo - hope it's true!!! A lot of the country got neglected during the last couple half-tours. It didn't seem like it was set in stone yet from what he was saying, but in the works. In any event, we'll know for sure soon enough. Wonder if we'll get a new album too? As in band tour? Been wanting a band tour for a bit now! I wonder if she’s thinking of doing that rock album next. 20180331_205445 would be a p good shot for the poster. Looked like a fun show! Was the theater pretty full? Was just thinking... how awesome would it be to get Down on the next record?